Android users have long complained about the lack of an iMessage-like counterpart and it appears that Google is finally ready to give the users what they want. Google has a mobile operating system that powers almost 85% of the smartphones in the market today, a number that can be attributed to the wide price bracket Android devices are available in. For the price, Android devices offer excellent value for money, with the flagships offering features and experiences that, some would say, leave Apple far behind. However, there is one critical problem with Android that exists in every device, regardless of its price, and that is its messaging service. Many Apple loyalists swear by iMessage and refuse to switch to Android solely because of this one feature. Many attempts have been made to port iMessage to Android, but Apple has swiftly shut them down. The Verge is now reporting that Google is now solely focused on bringing a similar feature to Android, under the name of Chat. 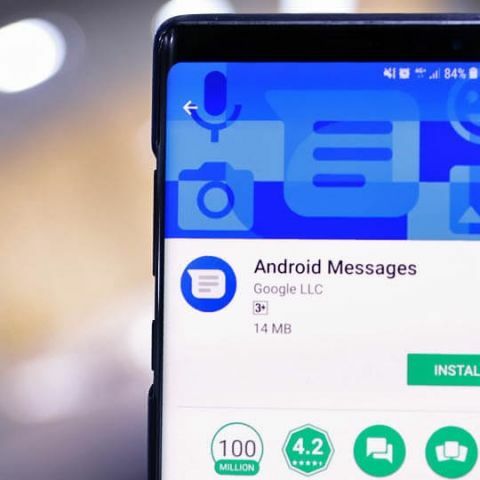 Chat will not be a new app from Google, instead, the company decided to rely on a standard called Rich Communication Services (RCS) for SMS/MMS and work with multiple carriers and OEMs around the world to enable a better, unified texting experience. RCS allows customers to send messages, full resolution photos and videos over their data connection. However, the difference between what Google is trying to do and how iMessage works is that the latter uses their own servers to route iMessage, while Google is trying to implement the same at the carrier level. Google has brought 55 carriers from around the world on-board to turn on the RCS services on their network in order to ensure interoperability. As per GSMA’s latest listing, Airtel and Reliance Jio have adopted the new standard, but Reliance Jio has already enabled the feature on its network. While Vodafone has also adopted the new protocol, India is not listed as one of its rollout regions. Finally Google Streetview comes to India! Chat is not a new app from Google, but instead, will be the baked into the default SMS app that ships on most Android phones. Samsung phones use Samsung’s own messaging app, which will also support Chat. The feature will automatically be enabled within Android messages, but the feature will only work once carriers decide to flip the switch on it, which Google hopes will be later this year. Users who have Chat will receive messages over the data network, while those who have smartphones that don’t support chat, will receive the message over SMS/MMS. Chat would finally bring a number of much-desired features to the standard messaging app, possibly drawing users away from other messaging services like WhatsApp and Facebook messenger. However, unlike iMessage, WhatsApp or even Telegram, communication over Chat will not be end-to-end encrypted, and hence, will be susceptible to snooping and intercepts by law-enforcement or even malicious parties. As of writing this story, Android Messages in the GooGoogleayStore already supports RCS. If you are a Reliance Jio user, you should be able to send messages using the new protocol to other Android smartphone uses with the latest Android Messages app installed, provided they too are on the Jio network. The Verge report also says that Google will work on bringing smart replies and Assistant to Chat, along with integration with other Google services (Photos). Stickers and GIFs are also said to be a part of the offering. Google has struggled for almost a decade to create a messaging app that could take hold of the Android consumer base like WhatsApp and Facebook Messenger have, but consistently failed. If Chat goes live soon, it is possible that users would once again flock back to the stock messaging app like iPhone users have, however, with the lack of end-to-end encryption, it remains to be seen as to how many users would stick with the service over a prolonged period of time.